Annick and Bertrand bought an old print shop in 2000. Within only nine months the renovation was completed. Gradually, the run-down house in Marseilles was transformed into a harmonious, beautiful family residence. Annick, as a designer, has chosen a tasteful, contrasting, graphic colour palette. 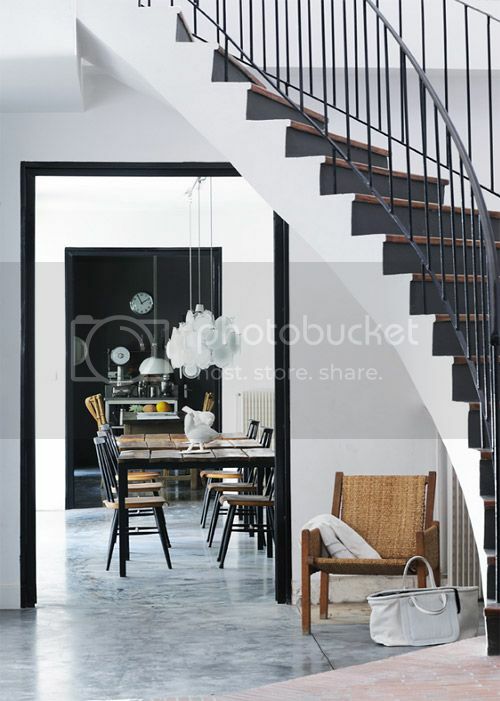 Consistently through the whole house, large surfaces were painted in white, black and grey. 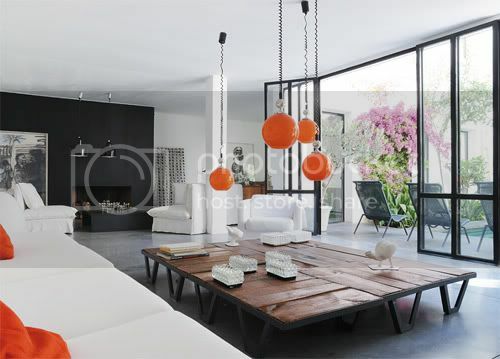 To preserve the authenticity of the place, the couple chose materials reminiscent of the vibrant industry that once existed here: door and window frames of steel, asphalt-painted walls, sand-blasted windows, polished concrete and small bricks from Toulouse. When the children moved out, Annick and Bertrand opened Casa Honoré: a luxurious Bed & Breakfast mini-hotel with four cosy bedrooms. All the interiors feel unique and intimate, absolutely nothing in here was determined or standardized. The house was furnished with vintage pieces bought at antique shops and some of the furniture was designed by Annick herself. 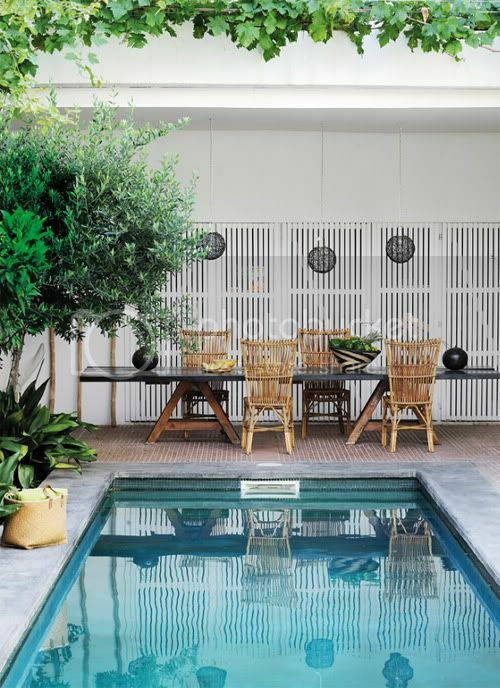 Natural materials, charming details and beautifully arranged plants create soothing, relaxing atmosphere. I'm reading: Casa Honoré: graphic elegancetweet, tweet... let everyone know! Gorgeous house...loving the light fixtures!! 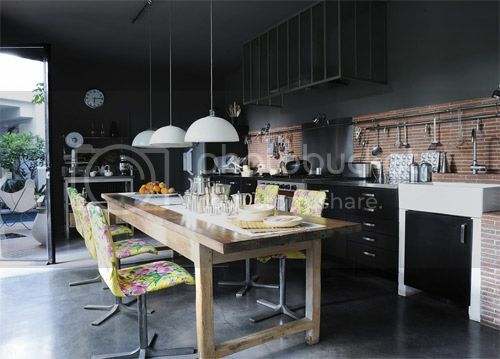 Cez, I noticed these beautiful tables as well... worn-out wooden surfaces make the interiors seem so warm and cosy. Oh, that's gorgeous! 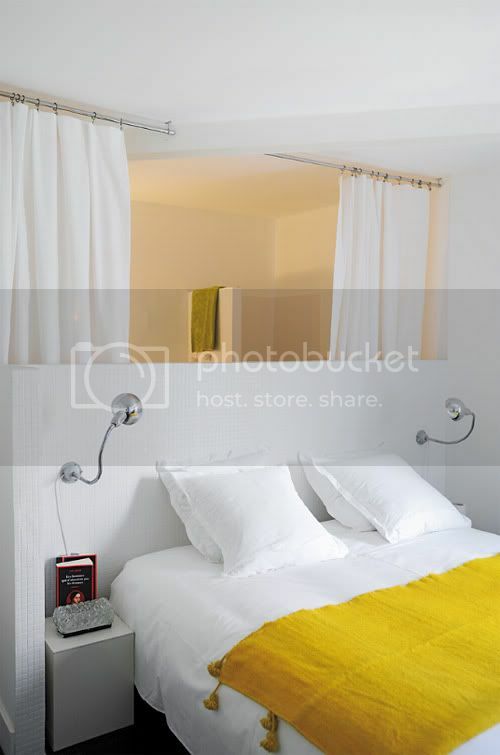 I'd love to stay there when visiting Marseilles! I love the second picture! White with orange... divine! How amazing is that kitchen!